Militant Islamists fleeing northern Mali under pressure from French forces could undermine security in neighbouring countries from where some of the fighters are believed to hail. They could also attract the support of sympathetic militias in the region, and even target countries with large expatriate communities, analysts say. 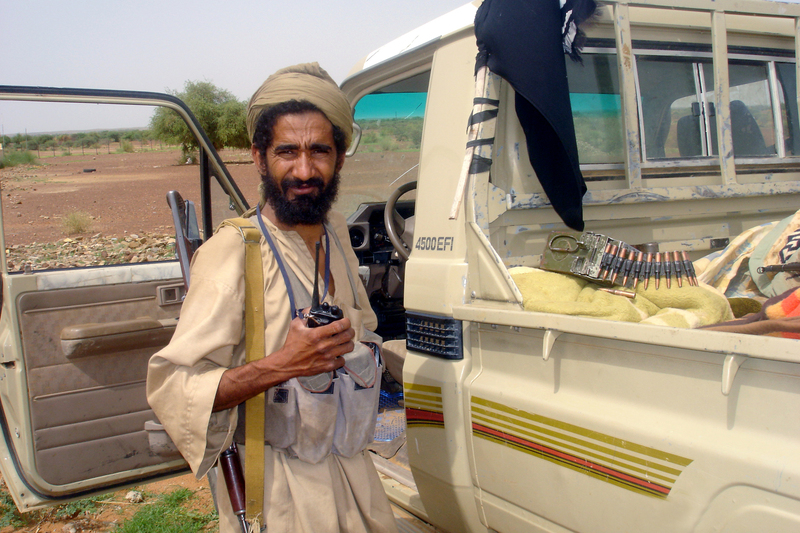 Members of Al-Qaeda in the Islamic Maghreb (AQIM - an extremist Islamist group that emerged in the 1990s), its splinter faction the Movement for Unity and Jihad in West Africa (MUJAO), and Ansar Dine (a Tuareg group that sprung up in 2012), are believed to have retreated to Mali’s mountainous region near the Algerian border. However, their ability to carry out attacks outside Mali largely depends on the strength of their networks abroad and the extent to which military intervention (currently led by France and in which at least eight West African countries are to take part), galvanizes opponents. The extent of damage inflicted on these groups by French air power is unclear. Since April 2012 conflict in the north has forced some 227,206 Malians to become internally displaced and 167,245 to take refuge in neighbouring Burkina Faso, Niger and Mauritania. The Office for the Coordination of Humanitarian Affairs estimates 4.3 million Malians will be in need of assistance this year, but as of 13 February just $10 million of the $377 million appeal for the country had been pledged. “It’s difficult to know where they are headed to, more so that they have not completely left Mali. They would have first fled to the mountains and then dispersed to other countries, but the fact that they are carrying out attacks such as in Gao seems to suggest they are maintaining a presence in Mali,” said Yvan Guichaoua, Sahel expert and lecturer in international development at the University of East Anglia. It is also not very clear how many fighters were and still remain in the ranks of the Islamist groups, although Mali-watchers estimate that the three groups had a force of around 3,000. “So of that 3,000 probably at least half disappeared and went back to their home as soon as the French began their assault. So maybe the number has rapidly dwindled to 1,000 or less of pretty hard-core Islamist fighters,” said Jeremy Keenan, a research associate at the University of London's School of Oriental and African Studies. Nevertheless Mali’s neighbours are still at risk of a spill-over from the crisis, at least around the border areas, which remain porous, argued Gilles Yabi of International Crisis Group. “AQIM would withdraw towards the north using networks it has built in Libya when trafficking. It could go as far as south of Tunisia where there has recently been a huge weapons influx,” Guichaoua told IRIN. The Moor and Saharawi are inhabitants of Africa’s westernmost region around Morocco, western Algeria and Mauritania and have African and Arab ancestry. Independent armed groups could be galvanized into action by the foreign intervention in Mali. “This is what happened in Algeria. While the [January] attack on In Amenas [Algerian gas plant] had been organized a long time ago, the conflict in northern Mali was used as a trigger. This is also what happened when a branch of the Nigerian Islamist group Boko Haram (called Jama'atu Ansarul Muslimina Fi Biladis Sudan) attacked Nigerian soldiers leaving for Mali in January,” Yabi explained. Are foreigners at greater risk? “In the short term, the military intervention increases the risks of terrorist attacks. Furthermore, the first suicide bombing in Gao means that asymmetric warfare that everybody dreaded has started. When you have people ready to blow themselves up in northern Mali, you can't exclude that they'll do it somewhere else,” added Yabi. Countries with a huge population of foreigners like Senegal are at risk of attack. Senegalese capital Dakar hosts dozens of international organizations and tens of thousands of expatriates. “A bombing is a stronger possibility now than before,” said Alex Thurston, a writer on Sahel issues. In early February, Senegal arrested several foreigners suspected to be militants. Expatriates in mining industries could also be targets. The January announcement by France to deploy troops to Arlit uranium mine in Niger illustrated the threat, observers say. “Kidnapping risk is also still extremely high and that may spread. We might see more of it - whether by opportunists or by some people who may have some links to AQIM,” Thurston said. Which countries are at higher risk and why? Experts say Niger, Mali’s neighbour to the east, is the most vulnerable, citing previous kidnapping of foreigners there and trafficking routes. The capital Niamey is at risk because it is located on the “Gao-Tillabéri axis [cross-border route] which is a corridor for traffickers, jihadists and home to an Arab community which would be more likely to link with former MUJAO fighters,” said Guichaoua. The government of President Mahamadou Issoufou has, over the years, tried to deal with internal threats by reaching agreements with Arab leaders as well as addressing Tuareg grievances by giving them seats in the government and pledging development of the country’s north. The efforts have so far kept things stable, but the perception of corruption, some unfulfilled development promises, and if the regime is seen as being too open to Western military presence in the region, could unsettle the fragile stability. While Nigerien Tuareg youths are unhappy with the country’s leadership, their anger has not boiled over into an uprising. Niger has seen Tuareg demands for more autonomy over governance over recent years, but no separatist movement per se. The demands have been more about equity in terms of wealth distribution and jobs in the mining and public sectors, Guichaoua said. The Boko Haram insurgency across its southern border in Nigeria could also be a source of instability. “Algeria is a special case because AQIM is first an Algerian problem,” said Yabi. While Algeria has always taken a tough stance against the group, it has not managed to eradicate the threat. Some AQIM leaders have always remained in Algeria and the group’s links with cells inside the country still exist, analysts said. “There is also evidence, but not really very verifiable yet, that some of the leaders of the key Islamist groups have either been taken back to Algeria or are trying to get back to Algeria. My suspicion is that most of the AQIM leadership will be taken back in to Algeria because they have been supported by Algeria,” said Keenan. “Libya is an important terrorist pool in the region. Considering the country’s instability, it is a breeding ground for fighters,” Yabi noted. Ties between AQIM in northern Mali and and Libya have been built up over years, mainly through trafficking. Dissident AQIM leader Mokhtar Belmokhtar is said to have been key in forging the Libyan ties. He claimed responsibility for the hostage-taking in Algeria’s In Amenas gas field days after the French launched its military drive in Mali. “Already there are reports of fighters from Mali dispersing throughout the Sahel including back into Libya where some of these fighter came from. Things could get pretty murky pretty quickly,” said Thurston. Analysts IRIN spoke to said some Boko Haram elements were part of the insurgency in northern Mali, although to what extent is unclear. Reports have indicated that Boko Haram fought alongside MUJAO in the battle for Gao, and a November 2012 video suggested Boko Haram commander Abubakar Shekau had been at least at one time in northern Mali. Destroying their rear base is one incentive for the Nigerian military intervention in Mali. It is unclear what the effect escaping Boko Haram fighters would have on Nigeria, or the rest of the region. “Boko Haram still has no international strategy. While some individuals are moving and might eventually take action in Niger, the organization still is very much a Nigerian movement that doesn’t act like a globalized jihad group,” said Guichaoua. Mauritania is one of the first countries in the region to face serious terrorism threats. The government has cracked down on extremist Islamist militants, adopting a counter-terrorism strategy which has received US military backing as well as enhancing regional security cooperation. “Mauritania has fought a good fight the last several years against AQIM and it was coping well,” said Peter Pham of the United States-based Atlantic Council think tank. There are fears that Mauritanian AQIM elements returning to the country could link up with local gunmen, Thurston said, adding that the Nouakchott authorities have arrested suspected AQIM sympathizers. Why are neighbouring countries wary of deals with Tuaregs? Mali’s neighbours with Tuareg populations are wary of a political settlement that could make concessions to the autonomy-seeking Tuaregs, analysts said. Guichaoua explained that Algeria, for its part, has firm control over its Tuareg population and has kept them happy enough not to be swayed by events across the border. Mali’s Tuareg National Movement for Liberation of Azawad (MNLA) and the Islamic Movement of Azawad (MIA), which recently split from Ansar Dine, have expressed willingness to negotiate with the Bamako government.